Up to 55% Off ALL Linens! OUR WASHINGTON CHAIRS HAVE ARRIVED! Early bird special for ONE MONTH ONLY! Book early and receive the discounted price of $12, per chair! Available starting Fall/Winter 2019. 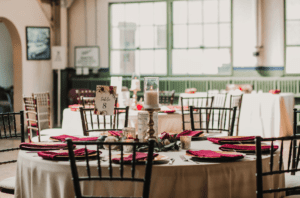 Is your event in April or May 2019?? Offer is valid for new orders only. Must book by 4.30.19 in order to receive discounts. All Pricing & Packages Valid if Booked with a 50% Deposit by 4.30.19. New Orders Only. At your consultation we will design your look and put an estimate together based on your needs. 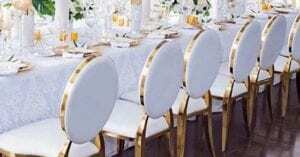 Just need Chiavari Chairs & Linens? Linens and a Backdrop? Need the whole look? Book your Wedding with us to receive 50% Off Shower Rentals! Packages are applicable to events with 150 Guest Minimums unless otherwise advertised. Price Matching Considered, but please place a value on customer service!